I'm considering self-employment. 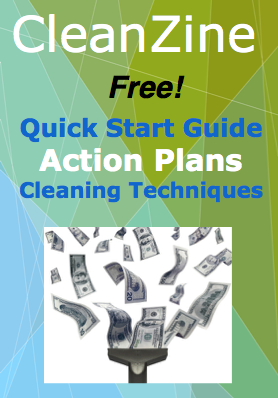 How easy is it to start a janitorial business? Consider the benefits of starting a janitorial company. In almost every business sector you can think of, there is a high demand for reliable cleaning crews. Self-employment presents countless challenges, but if you are willing to develop a high-quality, rock-steady service, the janitorial business is one in which you will find excellent opportunities for work on an ongoing basis. Where do I get the cleaning jobs? Every business, school, commercial outlet, retail store, government building, factory, and restaurant in your town must have a good dependable cleaning service. Some of these have on-staff cleaning crews, but increasingly there is a demand for outsourced professionals, and this is where the independent operation enters the picture. Large metropolis regions and big cities may be the obvious bet when scouting your territory, but smaller towns need professional cleaning services as well. No matter where you reside, there are plenty of business opportunities. Do not assume that because a business has been in operation for many years, they are satisfied with their janitorial service and will not change. These can be the best types of jobs to land, because once a client is assured of your quality service, they will not want to go through the effort to find someone new. Many shops and schools outsource their janitorial needs. If they do not get the service they expect, they have no qualms about replacing the weak cleaning crew with a better one. The truth is, cleaning crews often get comfortable on the job, forgetting that their job security is dependent on the quality of service they deliver. How much can I expect to earn with a janitorial service? Earnings depend on many factors. A ballpark figure for an individual with a full-time service is $45,000 - $55,000 per year. You can make a significantly higher annual salary, depending on the contracts you get and the size of the company you work for. If you plan to run crews and expand your service so that you are the owner-manager, you can bring in annual earnings of $100,000 and more. Am I the right type for this sort of work? Cleaning professionals must be self-starters, able to work alone or with a team as needed. Cleaning requires some physical dexterity and a reasonable amount of strength, so you should be fit and healthy. If you are willing to do that which others are not, such as clean the toilets, wash windows, and scrub the insides of trash receptacles, you can make a good living and offer a service that everyone must have. If you enjoy working alone or you are a self-directed sort of person, the janitorial business may be a good fit. Once you learn most jobs, the work is quite routine and can be peaceful in its way, allowing you space to think and quiet time for reflection as you work. People needing regular feedback from others, and ongoing dialogue, may find janitorial work a bit lonely. For the most part, you will be autonomous on the job, deciding how best to tackle the cleaning challenges at hand. Some people would rather go and ask someone else to figure out any challenges that arise. Others get energy from having to trouble-shoot problems and figure things out for themselves. Many people find that they enjoy the routine, the relative stress-free environment, and the occasional challenges of starting a janitorial company. Start networking and block out a period of time to set up smart business systems. In any new enterprise there are learning curves so be prepared for this set-up phase to take some time. You will learn by doing as well as by having a mentor and asking questions particular to your situation. Your attitude, thoughts and feelings about your tasks, both on a daily basis as well as your long-term business aims, and your particular style of tackling each step. The functional fit that your business has in your town or city. Do not waste time getting started networking and attending business gatherings for community support and to spread the word about your service. The equipment and tools needed for completing your janitorial work, including marketing tools such as flyers, press releases, and social media networking. Your business systems, which includes things such as the distances you will travel for work, the streets or highways you will use to get to your jobs, as well as your business website and the system you will establish for getting paid. Due to the huge and ongoing demand for dependable cleaning crews, opportunities for a janitorial company startup are excellent, wherever you may live or choose to work. Meeting the challenges of self-employment takes some time, but people who are willing to work hard will face a worthy challenge, with excellent opportunities for growth and long-term job security.